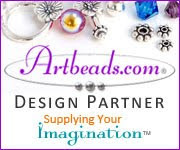 Artbeads is holding a contest for their artist bloggers on "What Inspires You". there are 2 categories: jewelry and non jewelry. and http://wildfireapp.com/website/6/contests/55615/voteable_entries/11447171 to vote for my jewelry item. Fall has been an exciting time. First, a 3 week tour of the Peruvian Amazon, the Sacred Valley and Machu Pichu, followed by Ecuador and the Galapagos. I am full of new ideas and photos. Second, a wonderful Sewing by the Sea retreat in Ocean City, MD. I am preparing for an exhibit of my machine embroideries to be shown at the Delaplaine Visual Arts Center, Frederick, MD in September 2011 in conjunction with a national quilt show. 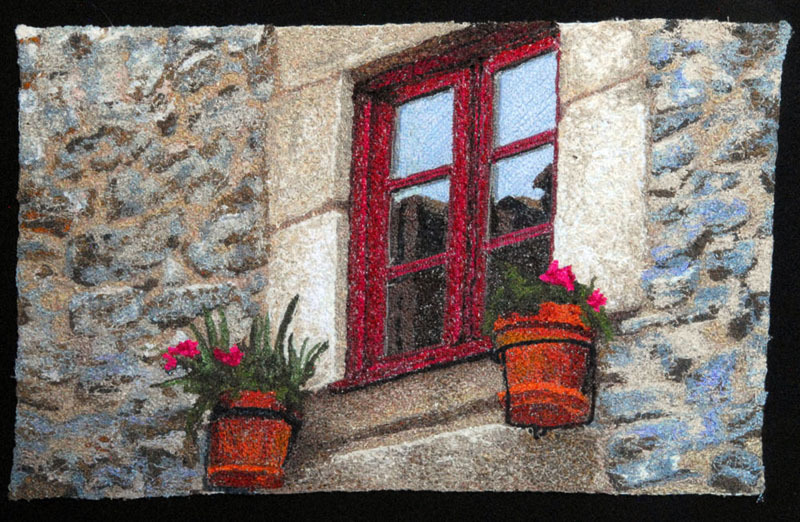 I was able to do 4 of these embroideries in the retreat setting-a good way into the dozen I will need by next fall. After several scientific degrees, I rediscovered stitchery as an art form. I began with beads first to weight down fiber adornments then as a medium in their own right and have since moved into knitting and felting. Whether working with beads or wool, my primary artistic focus is color and color transitions as well as shaping sculptural forms. I have recently expanded into oil painting concentrating especially on my love of dogs. As with my fiber work, color is important and I often see and express more colors than are technically existent in the actual canine.